Advanced Sealing International believes in engineered mechanical sealing solutions specified to each customer’s application to ensure the best possible performance. We don’t just fit a seal to your pump, we fit our seal to your application. 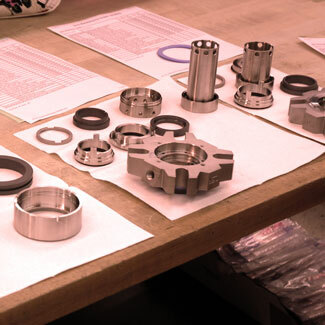 ASI manufactures its mechanical seal line using our own proprietary designs, the tightest tolerances in the industry and the finest materials of construction. The primary goal at ASI is to exceed our customer’s expectations with advanced technology, flawless quality and incomparable service. ASI was founded in 1983 in Baton Rouge, Louisiana by John Hornsby, an engineer and designer of mechanical seals for more than thirty years. Our expertise is the design and manufacture of reciprocally balanced, stationary cartridge mounted seals. ASI is renowned for its ability to tackle unusual and difficult applications and engineer seals for specific equipment and seal requirements.